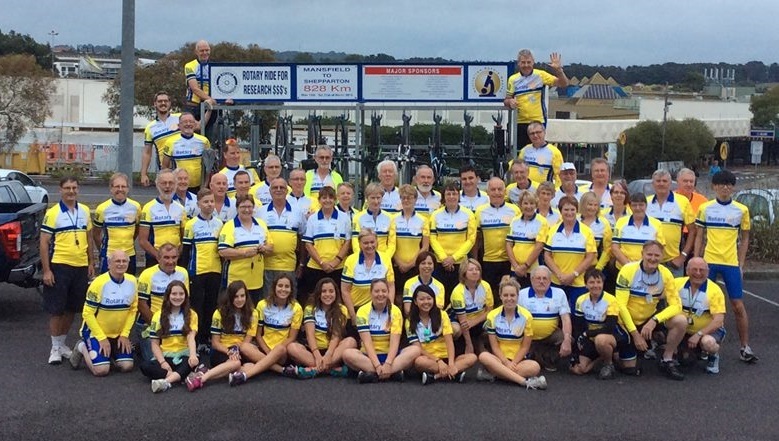 Since 1986, Rotarians, partners, friends and Exchange Students undertake a 700km plus bike ride in the lead up to the District 9810 conference. 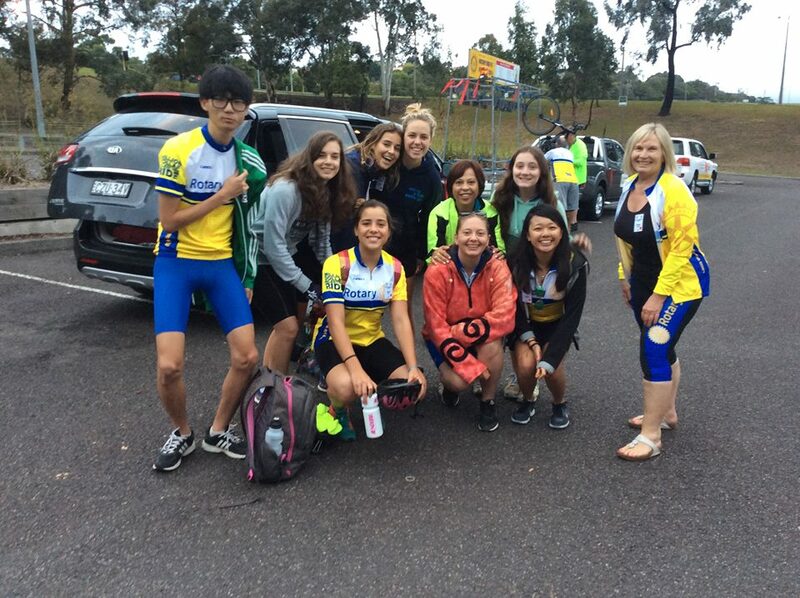 The ride is known as the 'Rotary Ride for Research Dollars' as riders are sponsored, with funds going towards Australian Rotary Health ('ARH'). ARH is one of the largest independent funders of mental health research in Australia. ARH also provides funding into a broad range of general health areas (including Sudden Infant Death Syndrome, Care for the Aged and Cancer research) and provides scholarship for medical and nursing students. 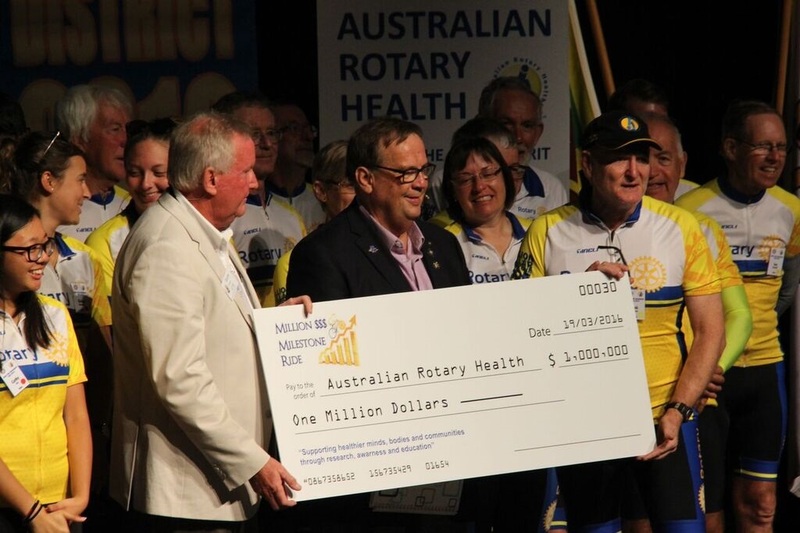 The 2016 ride was known as the 'Million Dollar Milestone Ride' as it raised enough support to celebrate reaching the donation of $1 million since the ride commenced 30 years ago. The ride will covered over 650km from 14th - 19th March 2016 as a lead up to the District Conference on the weekend 19th -21st March. It started in Mansfield and concluded in Shepparton after travelling through some challenging Victorian country. Over the years we have had a number of Rotarians and partners participate in the ride. For more information see: http://www.9810rotary.org.au/get-involved/bike-ride/ride-for-research-dollars/.